I am so very excited for this month's blog hop. 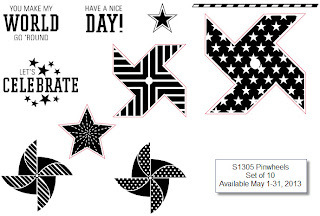 I have been waiting to use the Pinwheel stamp set ever since the Spring/Summer Idea book was first released to consultants in January. So sit back and enjoy this blog hop and all the wonderful ideas you'll find along the way. If you've come from Laurie's blog- welcome! The next post is found at the bottom of this post. If you are just starting the hop with my blog- no worries- it should make a complete circle if all goes well! Here is my layout: waiting for a single photo of my daughter. Excuse the shadows... I took the photo outside for natural light and didn't pay attention to the plants next to the walkway...oops! smokey plum, smoothie, sweet leaf, twilight, sorbet, cocoa and honey. 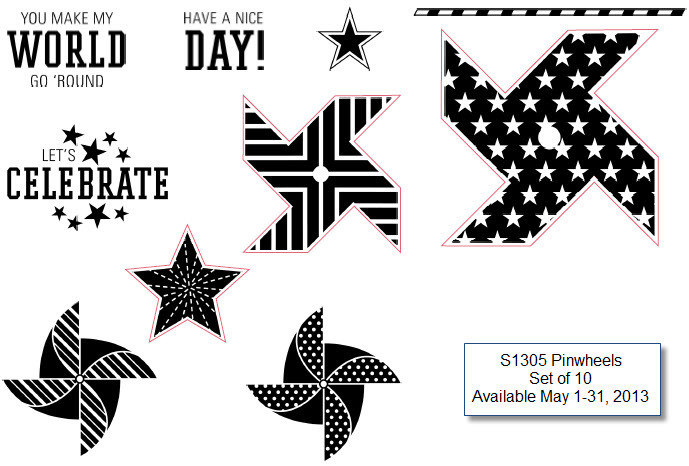 The pinwheels, stars and "you make the world go round" are all from the stamp of the month set. I hope you love this as much as I do! Now head over to Kathy's blog to continue on the hop. very cute layout! plant shadow - no problem! Cute how you stamped the sentiment on the pinwheel.